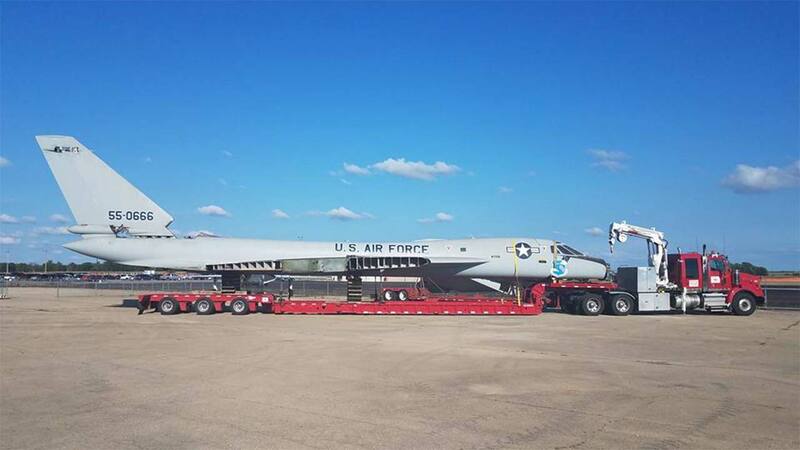 FRESNO, Calif. (KFSN) -- Those traveling on Highway 99 north of Atwater may get to see a B-58 Hustler Strategic Bomber on its way to Castle Air Museum. The 120 foot state-of-the-art trailer left Reno on Friday morning and is expected to reach the museum around 2:30 p.m. It traveled west on I-80 to Sacramento, south on I-5 to Stockton before it crossed over on Highway 4 to Highway 99 south and its destination.